Replace your chainsaw chain to get that 'new chainsaw' feeling without the new chainsaw price. 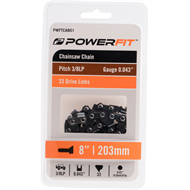 The PowerFit range of chainsaw chains comes in a size to suit your chainsaw. For optimum cutting performance of your chainsaw it is recommended to sharpen the chain every time that you refill the petrol tank. 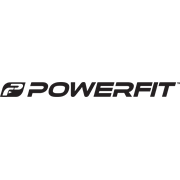 PowerFit chain suits many common chainsaws including Makita, Stihl, Ryobi, Ozito, McCulloch and Husqvarna.